Every food culture has its own relationship to, and varieties of, spices; some are rich and diverse like Indian or Jamaican cuisines, while others are mild and subtle like Polish or German. But if you didn't grow up in a rich spice culture, or cooking much in general for that matter, their use can be as intimidating as it is crucial. After all, mastering these 17 kitchen skills is a worthless exercise if you can't season properly. So here is your definitive spice primer. Once you are comfortable with these, you can continue to add new and exotic ones to... spice up your pantry. 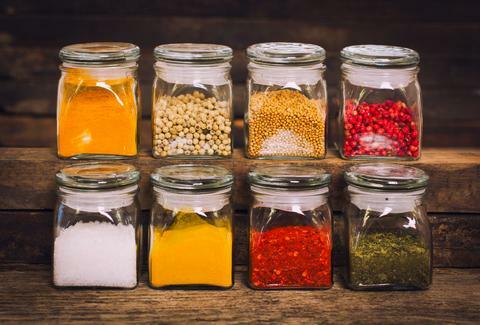 Take note: in general spices stay fresher when they are kept whole and ground with a mortar and pestle when needed. They don’t necessarily go bad, but rather lose flavor over time, so try to change them up every six months to a year. Help extend shelf-life by storing them in a cool and dry area of your kitchen (not right next to the stove). Also, despite common misconceptions, salt is not a spice, but a mineral. Regardless, you should obviously have it in your pantry. Check out our salt guide to get started. 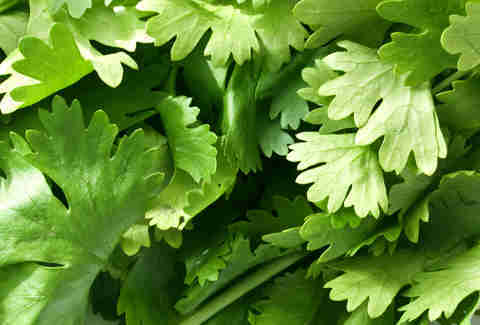 Floral and lemony coriander is the dried seed of cilantro and part of the carrot family. (Ever notice how similar cilantro and carrot tops look?) It's often used in pickling, sausage-making, and even gin production, and is a key spice in Indian cooking. It's also one of the distinguishing flavors in American hot dogs. You can purchase it whole or ground. Lightly crushed whole coriander becomes intensely floral and works beautifully with salads, roasted vegetables, chilis, lentil stews, meat rubs, and seafood preparations -- especially raw scallops and fish. Cumin is also in the carrot family. It is native to Southwest Asia and traveled to Europe during the times of the ancient Greeks and Romans. While it mostly disappeared from European cooking, its presence remains strong in Greek and Spanish cultures. In fact, the Spanish are credited with bringing it to Latin America and it has since highly influenced Mexican food. Cumin has a strong, rich flavor and musty smell. A little goes a long way. Use cumin in Mexican and Tex-Mex dishes such as enchiladas and chili con carne, different Indian curries, and Middle Eastern and North African meats and stews. 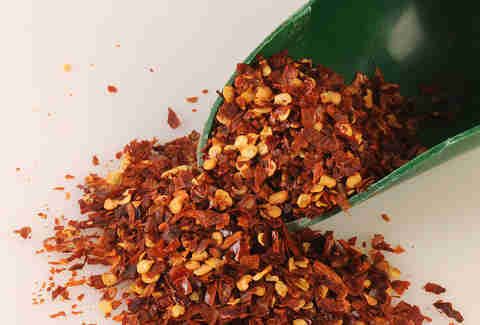 Crushed red pepper is a wonderful and intense way to add heat to any dish. Also known as chili flakes, it's a mix of several chili pepper varieties -- including cayennes and jalapeños -- that are blended to obtain heat levels in the range of 30,000 to 50,000 Scoville units. A Scoville unit is the measurement of heat levels, developed in 1912 by the pharmaceutical chemist Wilbur Scoville. To give you an idea of heat levels: bell peppers are between 0-600 Scoville units, while the infamous ghost chili is over 1 million. Add red pepper flakes to the oil at the beginning of a dish so that it infuses throughout, but be careful because red pepper flakes become bitter when they burn. They are often a component in many Italian dishes and sauces, such as arrabbiata and aglio e olio, but you can also sprinkle them right out of the can onto pizzas, sandwiches, sautéed vegetables -- anywhere you want to add extra oomph. Cayenne pepper is the dried and ground powder of cayenne chilies, named after the city of Cayenne in French Guiana. They are extremely hot, ranging from 30,000-50,000 Scoville units. But take note, because the store-bought spice you're about to purchase comes already ground, it will lose potency faster than whole chili peppers or even flakes. Because cayenne is finely ground, unlike red pepper flakes, it's perfect for meat rubs, various marinades, and any dish that might need a more blended heat. Its flavor is fairly neutral and just adds a nice kick. Cayenne is also said to have many health benefits. Remember Beyonce's famous lemon-cayenne cleanse? While cinnamon is most commonly found in sweets in the US, it is also used to flavor meats in Middle Eastern cuisines. The ancient spice (the ancient Egyptians used it in embalming, which is kind of unsettling, but unrelated to how you'll use the stuff. Hopefully.) adds warmth and natural sweetness to any baked good or breakfast item, from apple pie and oatmeal cookies to French toast and pancakes. On the savory side, it adds flavor depth to rich meat preparations such as braised lamb shanks, short ribs, and bolognese sauce, as well as roasted squash and root vegetables. 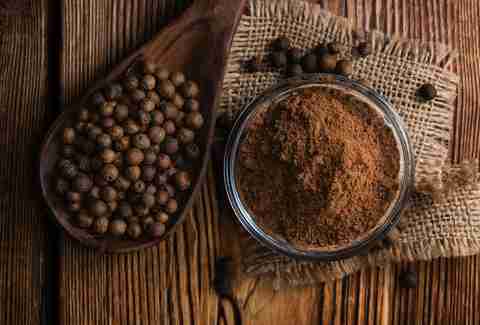 Regarded these days as the second-most popular spice in the United States and Europe, next to black pepper, cinnamon is the dried inner bark of trees. There are two primary varieties: one is Ceylon, mild, delicate, and sweet, and the other is Chinese or cassia, which is stronger, spicier, and bolder -- think Red Hot candies. Cassia is more popular worldwide and is generally less expensive. The underground rhizome of the ginger plant, ginger was one of the most important spices in medieval Europe, where it was used for gingerbread. The main producers of ginger are India and China, although Jamaican ginger is considered the finest. In Yemen, it is a main component of a coffee drink called qishr. Ginger is valued for its health benefits and especially known for its gastrointestinal healing powers. 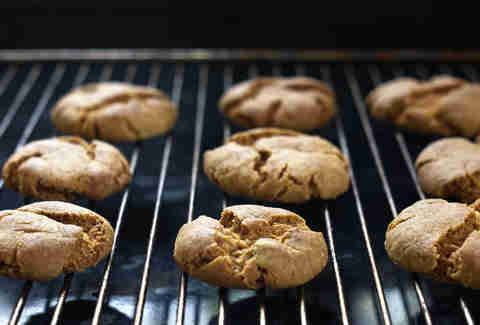 It's spicy, pungent, and intense, and in powdered form, is commonly used as a primary flavor in baked goods like gingersnaps and pumpkin pie. But you can totally use it for savory preparations as well, like carrot ginger soup, ginger honey chicken wings, or homemade ramen. Deceivingly nutmeg is not a nut at all, but the seed of a plum-sized fruit from a tropical Asian tree. It's a key flavor in the classic French sauce béchamel, as its warmth and nuttiness pair beautifully with cream sauces. And something downright magical happens when you add a pinch of nutmeg to spinach dishes. It's also great for baking and can be used virtually anywhere cinnamon is used (like in eggnog cheesecakes, albeit with a less heavy hand). Nutmeg has a powerful flavor! It's also infamous for its hallucinogenic effects if consumed in large quantities, but that's another article. Freshly grated nutmeg and the pre-ground stuff are almost two different spices, the former being tremendously sweeter and richer in flavor, while the later is often kind of bitter and offensive. Try grating nutmeg with a cheese grater or microplane -- you'll never go back to the powdered stuff. This one's kind of a no-brainer, but what's important here is that you should invest in a nice pepper grinder, rather than relying on the stale, less flavorful pre-ground kind. It's hard to think of savory dishes that wouldn't benefit from a crack of black pepper; it heavily enriches Caesar and all salad dressings, and is a key component in cacio e pepe pasta (as well as other white sauces) and steaks (think steak au poivre), to name a few dishes. Whole peppercorns are wonderful for stocks, soups, and pickling liquids, in which their flavor is slowly extracted over time. Just be sure to put them and other aromatics in a sachet (a porous bag) so you don't have to worry about fishing them out at the end, or crunching down on a wayward whole peppercorn. 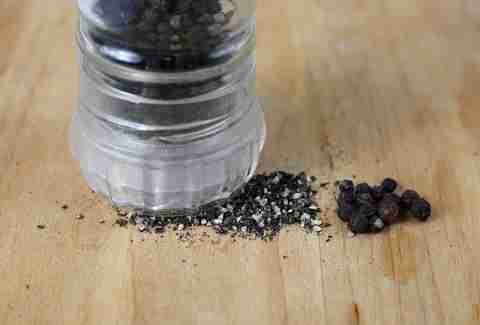 Black pepper was one of the first spices to be brought to the West from Asia and has become one of the most common spices found in any home throughout the US. It is a small dried berry of a climbing vine plant. Black, white, green, and pink pepper all come from the same berry, but are just processed differently. White pepper is popular mainly because of its neutral color, however, it's much less aromatic than black pepper. 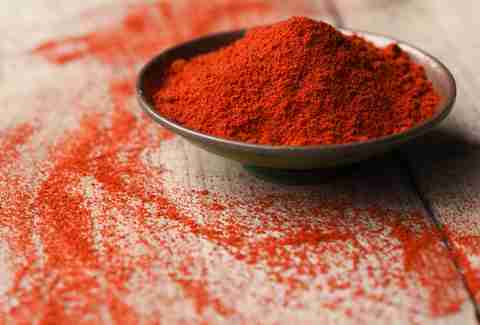 Paprika is another spice made from ground dried chili peppers. Of the many varieties of paprika, the two main categories are sweet and smoky. The sweet kind is from Hungary, while the smoky variety (pimentón de la Vera) is usually from Spain. Both have heat but are generally mild compared to cayenne or red pepper flakes (you can get hot paprika as well but it's less common). If you can only have one type in your pantry, go for smoky, which is made by smoke-drying and crushing chilies. Cooking with smoked paprika gives your food a light smoky-and-sweet flavor as well as a beautifully vibrant color. Use it atop French fries, in vinaigrettes, over fish, in hearty soups or stews, and in virtually any meat marinade or on anything on the grill. The flavor can also be used to mock bacon in a pinch. Vanilla is ubiquitous in baked goods and desserts, however, a dash of extract can also enhance certain vinaigrettes, chicken marinades, and pork dishes. If making a custard or any substance in which vanilla is the primary flavor, splurge on a whole vanilla bean, cut it in half, and scrape out the seeds. Throw the pod and seeds into your milk or cream, heat it gently, and allow everything to properly infuse. Your creme brûlée will thank you for it. There are three main varieties of vanilla: bourbon from Madagascar, Mexican, and rare Tahitian. Bourbon is considered to the be the finest, with the richest vanilla flavor, and is the most produced commercially. 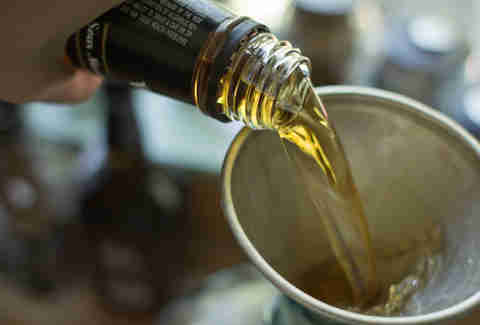 Because production is incredibly expensive, laborious, and time consuming due to the necessary hand-pollination of the flowers and the detailed curing of the pods, most vanilla is consumed through vanilla extract, a liquid substance produced by soaking chopped vanilla pods in alcohol and water over a prolonged period. Due to its extremely high demand, 90% of the vanilla consumed in the US is artificial. Read your labels! Allspice is the dried unripe fruit of a tree native to the Greater Antilles, Southern Mexico, and Central America. 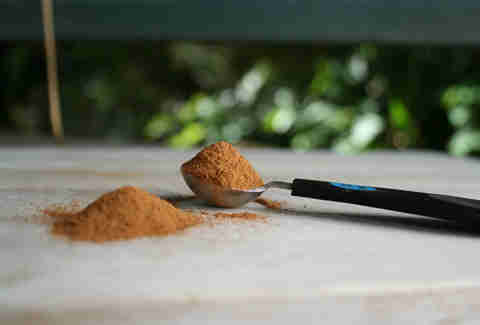 It got its name as early as 1621 from the British who thought it combined the flavor of cinnamon, nutmeg, and cloves. The main producer is Jamaica, and it is, not surprisingly, a major component in jerk rubs. Because it embodies a slew of other spice aromas, stocking allspice is a great way to cut out storing other spices (looking at you, cloves). Allspice has a strong, dominant flavor, so a small sprinkle will suffice. Add it to pumpkin pie or gingerbread, stews, roasted vegetables, and jerk marinades. Garlic powder and onion powder are respectively dried onions and garlic that are made into powder. You could keep them around, and you should if you need some flavors in a pinch, but neither compares to the real thing. The same goes for dried thyme, rosemary, and oregano, which are herbs, NOT spices. Regardless, fresh is generally better. If you are using dried herbs, they are usually best when added to the beginning of dishes, while fresh herbs fair better when added towards the final stages of cooking. And never, ever buy dried chives or basil as a substitute for their fresh equivalents. Their flavors don't even come close. Just leave them out instead. Julianne Feder is a contributing writer for Thrillist. She could put cinnamon in pretty much anything and be happy. Follow her @TheGastroNerd or watch her to get more nerdy food insights and find out how to spice up your cooking.